St Thomas evokes the great privileges of the Virgin Mary when he speaks of the sending of the Word into this world by His incarnation. (IIIa q.27 to 30).Mary holds such a place in the realization of the work of salvation of humanity by the Word Incarnate, that she merits to be evoked in a very particular manner. If Mary, by her fiat, miraculously became the Mother of God, the Mother of the Saviour, she became by the very fact the Mother of His Mystical Body, that is to say of all those who live of the life of Jesus here below and will do so for eternity. She became Queen of Angels, and the terrible enemy of the devils. Consequently, we have become her children by Baptism, and we nourish ourselves of her Son in the Eucharist. She is truly our spiritual Mother. This divine Motherhood procured for her unique privileges and, first of all, her Immaculate Conception and fullness of grace from the instant of her conception. She is the sole human creature to be exempt from the results of original sin. Another extraordinary privilege is that she is the Mother of Jesus, and remained virgin, before, during and after her childbirth. Nothing is impossible with God, as she was told by the Angel Gabriel. 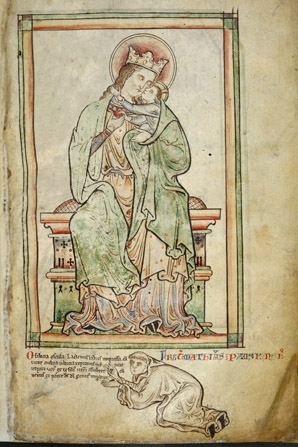 The infant Jesus left the womb of the Virgin januis clauses, without destroying her hymen. She did not suffer the pains of Motherhood. How many errors do we find on this subject in modern catechisms! She was thus made exempt from the slightest sin and every sickness, for they are the consequences of original sin. Finally her body not being susceptible to corruption was raised up and assumed into heaven. This is the privilege of her glorious Assumption. She is henceforward the Queen of Heaven and earth. She is also, thanks to her divine Motherhood, the Mediatrix of all graces which we are given. Her spiritual Motherhood is universal. If Jesus is the Head of the Mystical Body, Mary is the neck, as the Fathers of the Church say. Mary, being the Mother of the Eternal Priest, exercises a particular Motherhood with respect to all those who participate in Jesus' priesthood. May the Virgin Mary deign to form us into priests in the image of her Divine Son1 May devotion to Mary be honoured in every house and chapel of the Society, and in all the hearts of all its members! Mary will keep us in the Catholic Faith. She is neither Liberal, nor Modernist, nor ecumenical. 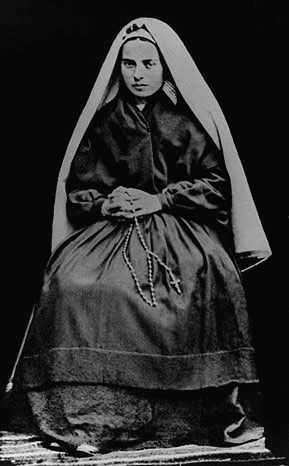 She is impervious to all errors and with even greater reason to heresies and apostasy. 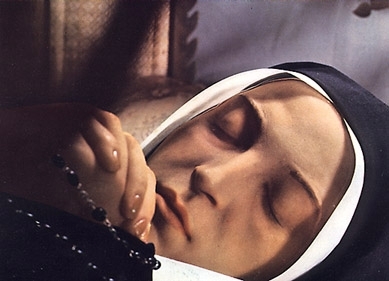 "Oh Immaculate Virgin, who by the extraordinary privilege of your Immaculate Conception, dost teach us all of the fundamental truths of our faith and hast merited to be the Mother of the Eternal Priest, form is us the Priest of Jesus Christ and make us less unworthy to participate in this Divine Priesthood"
From A Spiritual Journey written by Archbishop Marcel Lefebvre for use by priests and seminarians. A three DVD set film, total viewing just over three hours. 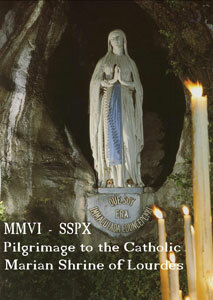 A history of Lourdes and Bernadette interwoven with direct filming of the 2006 pilgrimage events. An excerpt from the film may be viewed here. An MS Excel file with full details on the 19 apparitions that took place in 1858 is available for download. Mary who sent that artless child to tell the priests that you wished a chapel to be built upon the rock where you had appeared. 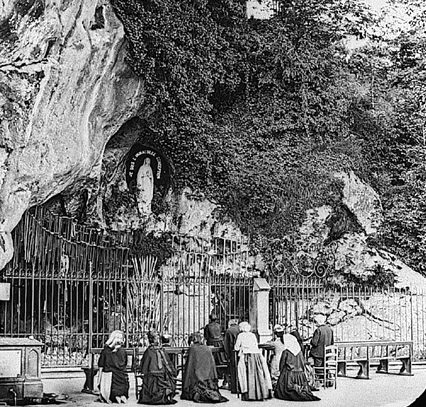 Mary who confounded all the efforts of human wisdom which sought to oppose your favours in the grotto of Lourdes. O Jesus, God of unspeakable goodness, who hast appointed Mary thy Immaculate Mother, the dispenser of those graces and mercies. 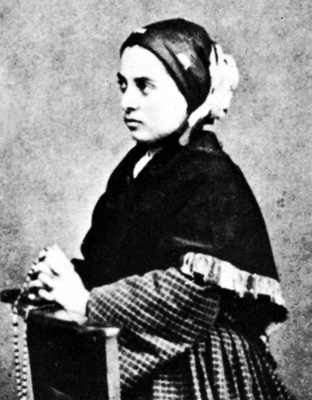 Which she loves to shower down in so wonderful a manner upon the singularly favoured rocks of Lourdes, we humbly beseech thee by her prayers and merits to grant us all that is salutary for us, health of soul and body, and particularly the grace to know Thee, and love Thee more and more; so that having faithfully served thee upon earth, we may one day appear before thy throne in Heaven, at the feet of Mary, our holy Mother, with her to praise, love and thank thee for all eternity. 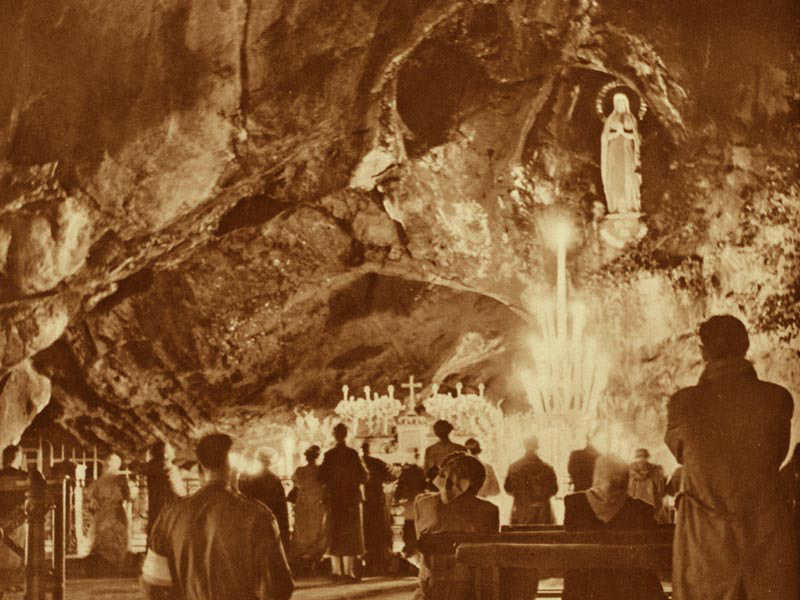 Be you eternally blessed, praised, loved and invoked, O Mary who pours out such a profusion of graces at Lourdes, that place sanctified by your presence. O may you ever be our Mother, our hope, and our consolation here below, and our Queen in celestial bliss above. Prayer of Monsieur Estrade, a witness of the apparitions. Mother my hair is white and I am near the grave. I do not dare to look upon my iniquities and more than ever do I feel the need of taking refuge under the cloak of thy mercy and pity. 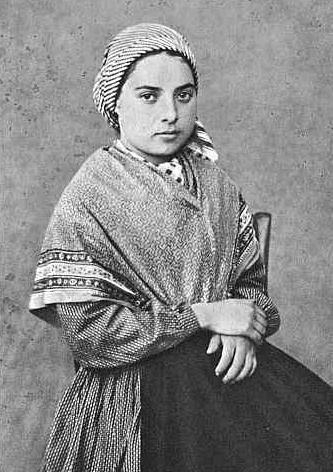 When at the last great hour I have to appear before thy Divine Son, vouchsafe to be my protectoress and to remember that thou has seen me on my knees and believing, beneath the sacred vault of thy Grotto at Lourdes, when thou didst reveal thyself to Bernadette and through Bernadette to me.